Instagram has been one of the most popular social media platforms in the current internet era. It gained its popularity in 2012-2013 two to three years after its major launch. Nowadays, the influx of users is still rising as days go by. As a matter of fact, it has already reached its 600 million users mark last December 2016. But this post will not talk about how the Instagram achieved its goals; this post is about how we are currently working our way up on the millions of users worldwide as an excellent travel blog. We only have two simple definitions of being successful on Instagram, that is to have our follower’s loyalty and establish our brand. Our team doesn’t always follow the flow of the river. Sometimes, we take enormous risks and tries to counter-flow the water’s way just to experience the extremeness of an adventure. Just like how Salmons try to go back to the river to lay eggs. And I tell you, Instagram is no different. We are currently in an experimental phase to make a “unique” look in our feed. 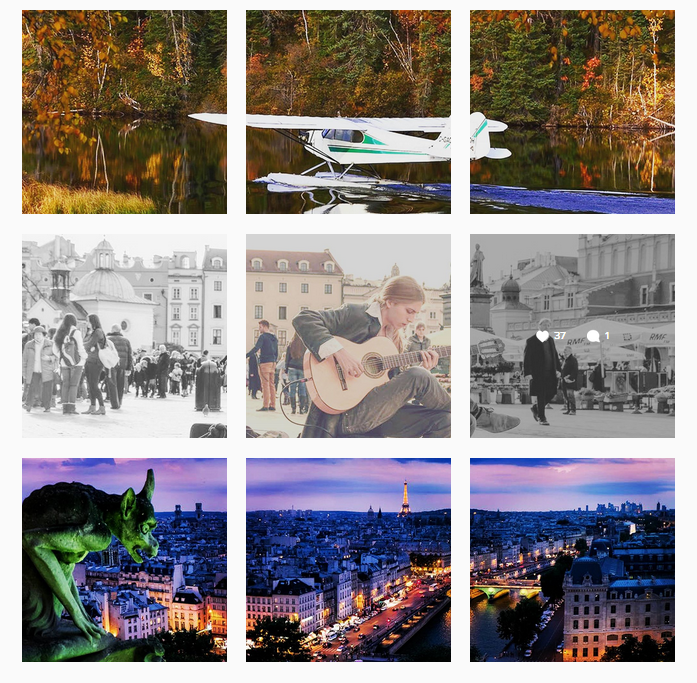 After a few days of continuous research, we have arrived at a conclusion to use the three horizontal frames of Instagram, and we published photos just like our feed below. A somewhat “panorama-styled” feed. The stars are just so bright! Check out our feed and be inspired by the whole photo. See ya! A beautiful night sky was spotted! Our feed might be sick, but if you only see one of our photos, it might look like crap. We understood the risks, but we still took the bait. Now, with just being gorgeous and unique, it might take us a few years before we reach the top ladder of social media. But to do so, we are suing the “force” to its full potential. And when I say the “force,” they are the sole connection of every Instagrammers to meet each other– the tagging system. With proper research, we have obtained an unimaginable knowledge in using tags on Instagram. We are also experimenting about those tags, but I assure you, these tags have been helping us grow and reach our goals. I hate those phrases– no WE hate those phrases. They’re hollow, they don’t mean a thing. We don’t just comment those phrases in other’s photos. We want the loyalty. We want the connection between our team to our followers. So what we currently do is to always comment at full throttle. We describe what we feel, we make good praises and sometimes feedback that might help them improve their photos. But as a rule of thumb, we comment on what we think about their pictures. That’s just it. For us to achieve our Instagram #FeedGoals, we need a powerful equipment in our arsenal to fight our adversaries. Luckily, OPPO F1S, the Selfie Expert is one of the best Android Phones in the market that can help us achieve our dreams. Its powerful 3075 mAh battery might be a great feature of the cell phone because it can last longer in our travels. Its 16MP front camera might also be one my favorite combined with the Selfie Panorama. Because of the Selfie Panorama, we can take new photos with our whole team without problems. But if I were to choose only one feature, I’d pick the 13MP Rear Camera. It has an industry-leading image chip that allows maximum light sensitivity even at low lighted places, especially at night time. If you are to look at our photo below, you can easily recognize that it was taken at night hours.